Now that summer is winding down, I am taking stock of all the desserts that I didn't post from the year. Last fall, this was the star. 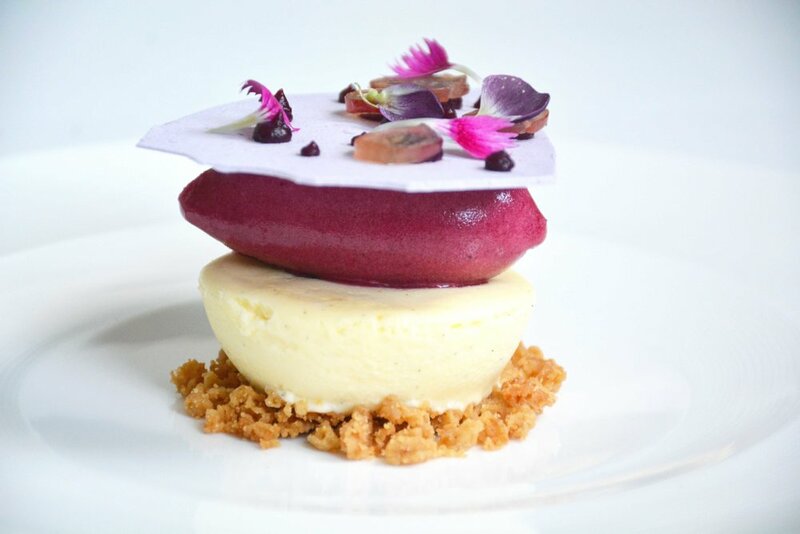 A classic philadelphia cream cheese cake paired with a graham cracker crumble, concord grape sorbet (my favorite flavor! ), concord grape meringue, and market grapes. It was a simple dessert, pairing two of my favorite childhood flavors, concord grape jelly and cheesecake. You have to use Philadelphia cream cheese to get that creamy unctuous goodness. And fresh concord beats out any jam from the supermarket. So I wonder, how can I improve this dessert for the coming Fall?